In the NBA labor dispute, the NBA owners say they have put their best and last offer on the table. It is one of the oldest stunts in negotiating. Take this offer or we are going to take it off the table. I think he’s bluffing but I’m not 100% certain. [2017: he was mostly bluffing.] Which, is exactly the point, of course. I don’t disagree with the settlement tactic in this exact situation. 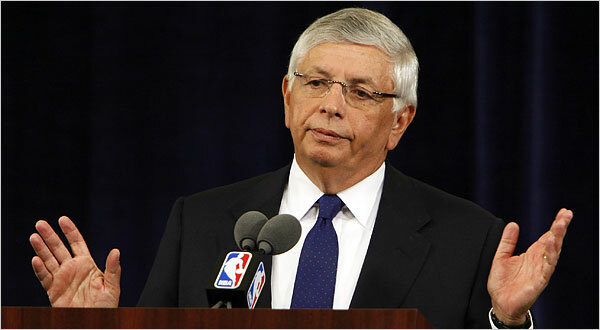 The man making the call is NBA commissioner David Stern who – getting ready for retirement – is almost certainly negotiating the last labor deal of his life. He will never get called out for bluffing and backing down again. Personal injury lawyers can also run a similar bluff with defense lawyers and insurance companies if they don’t ever expect to deal with them again. But if you are dealing with the same insurance companies in car accidents or medical malpractice cases – which applies to every lawyer in Maryland that has some volume of personal injury cases – you have to consider your overall credibility when negotiating claims. There are at least two reasons to temper the lawsuit/trial ultimatums. Anyway, going back, I really try to make sure the client is genuinely ready to file suit before negotiating as if I have that arrow in my quiver. Once you got out on the “my way or the highway” limb, you are unlikely to get more money on the case, even if the insurance company has more money to put on it. Your walk of shame back to the negotiating table will not be rewarded. The second problem is you have a credibility problem in every future case that you negotiate with that adjuster or lawyer. Once you are known for not backing up threats to file or – once in suit, to try the case – your credibility is diminished next time. This may not be the case in a place like New York City where you might not see the defense lawyer or the adjuster again for many years. But in the Baltimore-Washington market, there are just not that many insurance adjusters or defense lawyers. You repeatedly see the same cast of characters. To their credit, insurance companies generally shy away from the “take this offer or I’m taking it off the table” histrionics. I can only recall it happening once. I had a case with an insurance company that I won’t name – well, Selective Insurance – told me that they were pulling the offer in a case if I filed suit. They did just that, reducing their offer to $0.00. (The adjuster, by the way, is a very competent adjuster who handles only larger cases.) But at the pretrial, the offer had more than doubled their “take it or leave it” offer. You can view that is backing down. I just look at it is sensible. Why lock your feet in concrete on anything. In “Reptile“, which I think is the best book ever written about handling personal injury cases, Don Keenan talks about a time where he and his client had a number in mind and stuck to it. During the negotiations, he had – imagine this – a limousine pick up the insurance adjusters and their lawyers and drove them to a billboard he had bought that had the exact number of his demand on it. I normally would read something like that and assume it was conflated. But I have heard Don Keenan speak three different times. I believe it happened just like that. Personally, I would never do something like this and no one else at my office would either. Then again, the $85 gazillion Don Keenan has gotten in settlements and verdicts argues persuasively that it is not insane. Whether ultimatums work depends on the defendant’s lawyers and insurance company and, more importantly, your personality. Even if you are not making ultimatums, you are not bound by your last demand. Settlements before trial are bets in the blind. The value of personal injury case rise and fall as you go from demand package to appeal and every point along the way. 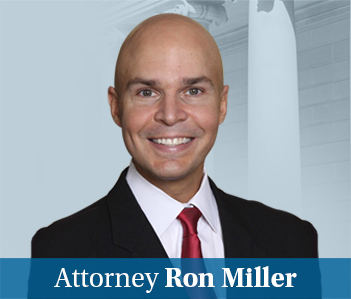 Smart personal injury lawyers value the case – like smart traders on Wall Street – value cases based on what they are worth today, not what the value was six months ago.